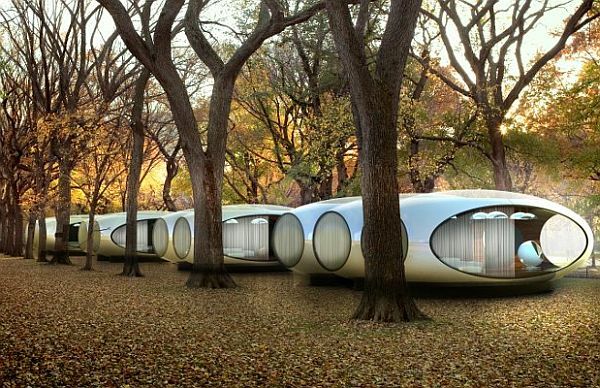 Created by Den Older Vleugel Architects & Associates for Hesta Exhibitions, the Xpod is a temporary housing concept that can be put to many different uses. The unit comprises of composite but switchable units that allows the modular system of the housing to be manipulated into multiple uses. 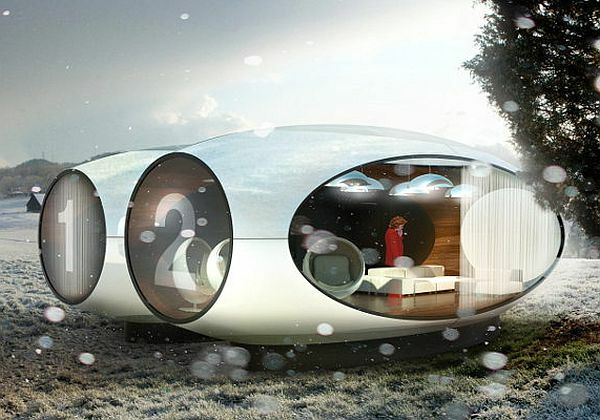 The flexible housing unit features a cut ellipsoid with eight identical slabs. The simple and basic slabs allow users to configure the space according to their own needs. Easy to move, the lightweight unit can be equipped with household electronic gizmos like air conditioners and electrical wiring and outlets can also be provided accordingly. Thanks to enormous glass windows, the inhabitants of the unit never really feel like they are inside an enclosed and relatively small space. The windows also let plenty of natural light in which reduces the housing’s dependence on electricity. The space can be utilized as a recreation home out in the woods, a weekend getaway, as outdoor housing units in resorts and even an industrial workspace that can provide housing for on-site workers. The Xpod occupies a 3.6 x7. 8 meters space on the ground in any kind of configuration and is temporary housing unit is priced around €30,000 without additional taxes and shipping costs.